This entry was posted in Health and tagged alternative medicine, conventional medicine, depression, disease, drugs, health, hering's law of cure, holistic medicine, homeopath, homeopathy, illness, law of similars, mohinder singh jus, rajan sankaran, samuel hahnemann, scare-mongering, sickness, symptoms, tablets, the lifeflow centre. Bookmark the permalink. This blog is fantastic, really, really impressive and explained so well and simply! I shall be sharing this and even printing it out for people. Hope it helps people to understand this wonderful medicine and to give homeopathy a chance to do its work. It is getting good comments after putting it on Facebook and it is circulating already…I like! Its really amazing and wonderful u really described me in everyword u wrote my eyes was tearful when I was reading cause I’m really going into a deep depression, I just feel that I’m too idiot and lately I started to feel that when I ask someone ” I never said no to him/her ” for a favor they were doing it but they let me feel that I’m a burden on them and I ask too much but I really never did…. can I contact you even by email ! unbelievable sharon, i found this very reassuring. every time i feel im getting worse ill have to remember im getting better! Glad you found this helpful, Martin. Hello All, I am so glad to hear this! I started a Homeopathic treatment last week. I have felt terrible. I thought about stopping the program till I read this site. I also spoke to my Naturapathic doctor who explained that I may feel bad at the beginning of the treatment and that it was a good thing. It doesnt feel good now. But, its reassuring to know that this is a normal feeling. I will hang in and continue with treatment and look forward to the benefits of the treatment. Thanks so much! I’m delighted that you found this article helpful and reassuring. I just found your blog on google and I’m glad that I did. I was just getting ready to do a review on my blog of a homeopathic product. It was going to be a negative review because it made my symptoms worst, however after reading your blog I realize I need to give homeopathic medicine a second chance. I now understand that things will get worst before they get better with homeopathic medicine. Thank you for opening up my eyes! You’re very welcome. I’m glad you came across my article and will now give it a chance to do its work. Best of luck with it! I’n much thankfull of da article it hast realy gave me a huge light of how homeophaty works! I’v jst stated sulphur homeophathy few days ago, however I’m glad to haveth found these infor thru well established article. I’m glad you found the article beneficial and encouraging. Stick with it! It really is a marvellous medicine! Very worthwhile. Is learning homeopathy dependent upon belief in evolution? No, of course not. Different homeopaths have different beliefs. That video clip made sense to me and helped me understand things a little better so I thought I’d share it. I like it 🙂 Thanks. I’m delighted my blog post has encouraged you to stick with it. It is so worthwhile! The best of luck to you! Thanks for the blog, very helpful. I wanted to ask you do the symptoms get worse before getting better with mental illnesses too? Depending on the potency of the remedy you’re taking, it can cause aggravation. If the symptoms are bad, contact your homeopath. You may need to change the potency or the frequency of taking the remedy or you may even need a new remedy altogether. With homeopathy, usually the mental symptoms get better before the physical ones. Thank you for your response, very much appreciated and please accept my apologies for the multiple entries. There was an error on my side. If it is possible, can I contact you via email as I have somethings I would like your help with please? I’m not a qualified homeopath so I don’t know how much I can help… I would recommend contacting your homeopath too. I humbly wish to know if one can take probiotic when also taking Homeopathic drugs.I think I am suffering from candida.Before i started the Homeopathy,I was taking probiotic which I must confess really helped.My sinusitis would almost immediately disappear and my tongue that is whitish/yellowish would also improve.But i decided Last December to start homeopathy and since then I stopped the probiotic thinking it would interfere will the Homeopathy.It has been two months now I started the Homeopathy;I must say i am really not too impressed with my progress so far.So i was thinking maybe i should incorporate probiotic into it.So,can one take probiotic and homeopathy at the same time? Moreso,it has been two months since I started taking the remedies my Homeopath gave me.I am now on the third remedy with one remedy left to go and it just seems nothing significant is happening as my tongue is getting whiter/yellowish more and more. The two will not cancel each other out or interfere with the other. As I wrote in the article, oftentimes, symptoms get worse or recur while healing body and mind. This is because the body is detoxing and clearing out, which is a good thing. If you feel better mentally and emotionally (calmer, better sleep), that’s a good sign that the remedy is working. If, however, you haven’t noticed any positive change, you may need a different remedy or a different potency of the remedy you’re on. Best of luck with it! Hope it helps! Is five months too long to wait until you start to feel better? I’ve been on a remedy for 5 months and feeling worse than ever. I get the “you’ll feel worse before feeling better” but I feel this is too long. Finally today my homeopath advised me to stop taking the remedy and we’ll meet again in two weeks and review. There are no hard and fast rules with homeopathy – it all depends on the individual, the remedy and potency given, and the state of the patient. However, aggravations can occur when taking a remedy at a certain potency for a certain length of time. In this case, the homeopath may wish to tweak the potency/dosage and/or (s)he may wish to change the remedy altogether. It’s good that you’re meeting up with your homeopath soon so you can discuss all this and come up with a solution. First of all, well done for persevering. I also tried allopathic medicine, which made me feel better briefly, then numb and, finally, worse than ever before. With homeopathy, I felt worse before I felt better, and it was a more gradual improvement. I’m so grateful to be off allopathic medication as there are no side effects with homeopathy and I am bettering my health rather than damaging it. The journey of disease of the mind is a long one in so it makes sense that it’s not a quick journey back out. Homeopathy doesn’t promise a quick fix. You said it all when you said you’re much better. I hope you continue to improve. Trust that you are always getting better and that there is no going backwards. Everybody has off days when they feel depressed. This is what it is to be human. Don’t fear that these normal emotions are a return into the depths of depression. What you resist persists, as they say. Accept that that is the way you’re feeling. Observe your thoughts and how your body reacts to them. Ultimately, you cure yourself. Homeopathy brings your body and mind back into balance and, once you’re more centred, you feel better. iam a patient of plaque psoriasis.i had been suffering from this disease for the last 6 years since when i was in 10th grade.. i tried conventional type of medicines which gave me relief for sometime but reappear again.. Recently i started homeopathy treatment and within one week of the treatment i had an aggravation of the existing symptoms but iam still continuing the treatment for almost two months.Iam confused because the symptoms are so bad and they are not decreasing with this treatment. shall i stop the treatment or continue? i dont know if the treatment is really working because i read so many times in books and websites blogs that aggravation is common in chronic disease and is good sign that the body is responding well to the medicines.. iam confused please help. With homeopathic treatment, it can seems like symptoms get worse initially. This is because the body has gone into healing mode and is pushing out disease. The skin is often the last part of the body to get better because it is the most external organ. This is a good thing as the disease is moving far away from your internal vital organs. The most important thing to notice is if your mind is feeling more at peace, if you’re sleeping better, etc. If so, everything else will follow. However if you’re feeling very unwell, I would check in with your homeopath who may want to change the potency/dosage of the remedy you’re taking. In the meantime, try taking baths with bread soda in them. This should also help. I hope this helps and I hope that you see an improvement soon. Thanks for sharing that, Erin. I’m glad it’s helped. I feel for you. As the title of this article suggests, the symptoms can become worse before you get better. There may be a lot of poison that needs to come out of your body and it’s doing so through the skin. You can help the symptoms but, rather than doing it by masking the symptoms, you could do it with diet. Try eating more anti-inflammatory foods like ginger, cooling foods like pears, pear juice and cucumbers. Avoid red meat, alcohol, cigarettes, sugar and any other foods that add heat to the body. And half a teaspoon of bread soda is excellent for alkalising the body, which should help too. Keep in touch with your homeopath too. P.S. I meant half a teaspoon of bread soda in water a day. I started homepathy at the end of February of this year, I mainly went for anxiety and my sinuses. I was given two pellets of sulfur to start off with. My anxiety got worse for a few days and my sinuses were not that affected. But after a few days I dont feel any anxiety at all so I was super excited about that. Now today though he has increased my dosage of sulfur to drink 4x a day, and for the past few days my sinuses have felt worse than ever, that is normal ya? Yes that’s normal. Your symptoms may seem to get worse before they get better but it’s good because the energy is moving, your vital force has been stimulated and it’s bringing stuff up in order to push it out. The main thing is that the anxiety has passed and the physicals will follow suit too. I really liked this article. Thank you. I recently took a leap of faith after western medicine left me worse off. I am at step one so this encouraged me to hang in there despite the pain and tiredness I am feeling all over again. I’m glad that this article helped you and gave you faith to keep going with it. I wish you luck, health and healing. Hi….I just started my medication 15 days back..n I was feeling so tired that I was anxious as to what is wrong with my body as t thought Homoepathy pills don’t even make us feel tired! Until I read ur article…tq so much for d details n bringing back my confidence n hope to get myself free from acidity problem ! 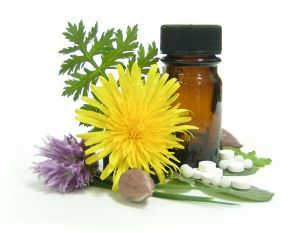 Hi, I’m so glad that the article has helped you and given you the confidence to stick with the homeopathic treatment. I wish you all the best with it. Hi, I’ve started my homeopathy treatment 5 weeks ago. I have chronic vaginal yeast infection and poor metabolism since I can remember. My homeopath discovered 4 types of yeast in my body and some food intolerances/ allergies. After 4 weeks she did check-up and said lots of allergens were pushed out of my body but still should avoid rye flour products and glucose syrup. Also yeast still remained in the body. Apart from yeast infection that recurred again I started to feel dizzy, light-headed, sudden weakness feeling, like about to faint. I have this since 3-4 weeks. As soon as I’m in warm room I feel like I am about to collapse. My hands start to sweat and I can hear/ see worse (almost like being drunk). I did blood check together with EKG but results are fine. Can it be that the homeopathic treatment causes this feeling? I was taking for 1 month E5 D200 for strength, LYC C30 for bowels improvement and D12 for yeast. Since 1 week I take D5 Mucokehl. Please advise. Yes definitely avoid sugar. Try taking bread soda (bicarbonate of soda) internally and take baths with it in it too. Coconut oil would help too. Often, patients feel worse before they feel better. They can get very tired and go into what’s called a healing crisis. I would contact your homeopath and report your symptoms to him/her so they can decide whether to change the remedy/strength of remedy/or dosage. He/she can explain and reassure also. Hi. I started homeopathy for diabetes and hyperthyroidism-which also included medicines for helping me gain weight-since I’ve lost loads of it due to both these issues. It has been 2 weeks now. But just 2 days ago I was given Neo-Mercazole (for Hyperthyroidism). I have since started having nerve burning sensations all over my body. Feels like my nerves are on fire. I am dead scared. I wonder if this is the symptons of homeopathy getting worse at first or if it has something to do with neo-Mercazole. Please reply and let me know…this is freaking me out!!! Hi, I have heard of people experiencing burning sensations as a side effect of taking neo-mercazole so I would advise you to go back to your doctor and tell them what’s happening. I would also advise you to go back to your homeopath who can help you manage your symptoms and hopefully help you heal from the inside out. Best of luck. Thank u so much dear for explaining the stages of treatment. I am having a bad skin infection on my face. I have been to four derms with different opinions. Now I am taking homeopathy. Its been three weeks. My symptoms are now worse. I had a panic attack but now I ll be calm and wait for the healing to happen as promised by my homeopath. Acc to him it ll take 2 to 3 months to return to normal and the complete healing will take one year. He is my last hope…. You’re very welcome. Best of luck with it. Sorry to hear you’re going through a tough time. I’d definitely give the homeopathy a chance. It’s your decision whether you decide to stay on the GP’s tablets as well. Very informative article. Certainly has given me hope that my symptoms will dissipate if I’m patient with the homeopathic remedy I am on. I am taking the UNDA numbers as of 2.5 days ago for anxiety/depression (on the more severe side of things after no success with anti-depressants). I have been feeling worse for wear for the most part and aggravated. I didn’t expect to feel like this and my homeopathic doctor told me I wouldn’t feel worse when starting the treatment. Is this a normal response? How long does it typically take for the bad feelings to pass? Thank you. I started a combination of UNDA numbers two and a half days ago for anxiety and depression issues that have been plaguing me since I stopped smoking marijuanna. I am feeling worse and more aggravated since starting the treatment but I trust what you are saying in this blog. I tried anti-depressants which made me worse and gave me horrendous side-effects and am hoping this can give me the boost I need to resume my life and have that elusive clarity that seems so foreign when dealing with these issues. I’m hoping I can start seeing some improvements soon as Christmas is coming up 🙂 Is this normal? Thanks. Thanx alot for this post. It is really helpful and has boosted up my energy knowning that it is a good sign to get worse before getting better..!! Hi. I chance upon your blog on homeopathy. I felt encouraged. I just started homeopathy for my eczema around my mouth, neck and fold of arms. My homeopath doctor started me off with clearing my sinus. That improved a great deal. But my ezcema itching got so bad. My friend did tell ne it gets worse before it gets better. The itching can get very annoying especially when the weather is hot. I instead to persevere dispite the intense itching. I put a neem/turmeric paste with water for 30 minutes before bed to control the itching so i can sleep at night. After washing it off, i rub pure coconut oil. Its helping a lot. It will be 2 months in 4 days time since starting on this journey. I am now round 2 of the homeopathic medicines. Sometimes i use cold compress in the day time to help me with the itching. It takes a lot of patience. Hi. Its been 11 weeks since I started my homeopathic treatment for my eczema on my neck, around my mouth and 2 elbows. My eczema is circular, dry and very itchy. The homeopathic doctor is so positive in treating his patients. I rotate between oganic unrefined sweet almond oil and pure unrefined extra virgin coconut oil for my skin. The itchiness has gone down 20% out of 100%. I make an oatmeal, neem leaves and turmeric paste or a neem turmeric paste to put on my eczema for 30 minutes. It helps me with the itchiness. Sometimes I feel like giving up and get discouraged as to why suddenly i am suffering from eczema as an adult. But…..knowing that i am in good hands for the treatment of my eczema spurs me on. I don’t know how long it will take before it’s completely cured. I have taken steps to cut out preservatives, and whatever else my homeopathic doctor advised. I hope to report back on my progress regularly to encourage others not to give up. Homeopathy is complete quackery. The placebo effect is a better explanation for why some of these remedies may seem to work. The principle that “like cures like” has been debunked. Read this article about how they came to this conclusion. Hi, I am really concerned. My homeopath has given me Lach Humanum (1M) for severe psoriasis and anxiety. I am highly senstive, very loving and sympathetic; in fact too much so. I need to stop caring so much. I have only been on the remedy two days and feel ten times worse. My anxiety has gone through the roof, I had my first ever nightly panic attack at 3 am, and I feel overwhelmed. My homeopath has assured me that it is a coincidence, not the remedy as it is too early for it to work yet. I am not convinced. I tried talking to her, but I feel intimidated by her. She is greek and very stubborn, and it is hard to get a word in edgeways. I am not good at confronting her, and regret choosing her now. I have no money left to go elsewhere and she is not listening. My homeopath has given me Lach Humanum (1M) for severe psoriasis and anxiety. I am highly senstive, very loving and sympathetic; in fact too much so. I need to stop caring so much. I have only been on the remedy two days and feel ten times worse. My anxiety has gone through the roof, I had my first ever nightly panic attack at 3 am, and I feel overwhelmed. My homeopath has assured me that it is a coincidence, not the remedy as it is too early for it to work yet. I am not convinced. I’m sorry to hear that you’re experiencing this aggravation. A homeopathic remedy can have an effect immediately. Don’t worry however, it definitely won’t cause permanent problems. As you can read in this article, sometimes you get worse before you get better. If the remedy wasn’t a good fit for you, you would experience no reaction (unless you were taking it too regularly – in that case you could start proving the remedy, thereby experiencing the symptoms you wish to alleviate). Did you just receive one 1M of the remedy? Or are you continuing to take it? If you’re still taking it, I’d advise you to stop. The symptoms should be relieved in a few days to a week’s time. Thank you, that is really helpful. I am to take just one per week for three weeks. I wish my homeopath would believe that it is indeed possible for a rememdy to be working already, but she will not belileve it is possible. I will have to be strong and insist when I next see her. Yes do and speaking your truth and being assertive is part of getting better too 🙂 Best of luck! Hi Sharon, I must say that the article that you have published here is highly information and very motivating. I have been on homeopathy medication for 2 months now for depression and panic attacks at work for which I have even taken a break from work for a month. Now the problem is that even though I am at home I have started to feel worse and have this constant feeling of a lump in my throat which bothers me a hell lot. I was even willing to give up on the medicine due to my health getting worse but something in me keeps pushing me to keep going for it. Do you think this could be because of the homeopathic medicine that I have been taking for 2 months is making it worse. I told the doc twice about the uneasiness that the medicine is causing me, however he just asks me to continue taking it. Please advice. Thanks in anticipation of your help. Though I am not a homeopath, I have been browsing several articles on this magic therapy(with due respect to Dr.Hahneman). My heart goes for this wonderful way of treatment wherein the patient feels ups and downs during the course of treatment. These are named aggrevations, retracing, flare-ups etc., to name more. Basing on the principle LIKE CURES LIKE, the system was invented and proved to be more safer, affective and economical. As expressed by SHARON in this blog, the remedies will not fix the problem (unless it is acute) overnight and needs patience and confidence in the treatment unlike allopathy where the allopath treats only the symptom by suppressing it to the deeper levels of the body. Homeopathy treats the body, soul and spirit as a whole and reaches the root cause of the problem or disease and helps eliminate it permanently from the system. While doing so, the remedy starts it journey from the mouth to the toe touching each and every organ on it’s sojourn and first detoxifies the hidden toxins from the roots of the physique. Unless, the detoxification process is completed, the remedy or remedies will not address the underlying cause of the problem. During the process, the long forgotten and suppressed symptoms will be felt which is called RETRACING. This theory was founded by Dr.Constantine Hering in 19th century as HERING LAWS OF CURE. To be precise this can be put as THERE IS NO GAIN WITHOUT PAIN. Thank you for writing this! I have been dealing with Lyme disease for many years. Recently, my bee venom therapist tested me for and gave me an EBV homeopathic. Since taking it two weeks ago, I’ve been the sickest I’ve ever been in my life. The fatigue is crushing, I can’t keep my eyes open for more then a few minutes at a time. Is there any timeline for how long it can take a homeopathic to clear? Being this sick and fatigued is becoming unbearable but I have no idea how long it will take to clear! Yes I agree with Lalitheswara Raju. It sounds like the remedy has taken effect and is working on your body so that it heals , which can take a lot of energy and is why you’re feeling exhausted. Listen to your body and rest as much as you can as this will speed up the process once you release resistance and allow the body to go into healing mode. The duration totally depends on the individual and on how long you’ve been sick. It also depends on the potency and frequency of the remedy you’ve been given. I would definitely contact your homeopath as he/she should be interested to get an update on how you’re doing. He/she may give you more direction as a result. Excellent article and does give me faith. My Homeopath has obviously hit the nail on the head so to speak as I had two pills for three days that was 8 weeks ago and I have been suffering asthma as bad as I have ever had it since then. Your article has reassured me that one day I will come out of this feeling much better, however can you reassure me that these symptoms will not last for years as I am struggling just trying to breathe. Well Jacq that you have gone through the post and develop confidence at the wonderful system of therapy. Confidence in the system and remedy is most important to achieve the best results. Let the remedy start it’s work gently where you need patience to tolerate the pain for some time to get totally cured. Where there is pain there is gain. Good luck and wish you speedy recovery ! It is good that you have switched over to the Homeo treatment for your vexing problem. There are wonderful remedies in Homeopathy to treat the symptoms from the roots if properly administered by your Homeopath after thoroughly studying your physical and mental state. More or less it takes an hour or two for a professional homeopathic at your first visit to investigate into the details provided by you like your previous medical history, habits, family history, your nature of job or work and some more factors which help the doctor to determine the perfect remedy .All you need is to cooperate with him during the course of the treatment with patience and confidence. Aggravations, retracing of forgotten illness are common while the treatment goes on. Typical symptoms, psychological turbulence will also be experienced but nothing to worry about. Just keep the physician informed as and when these features are felt which enables him to monitor the treatment. Remember that without pain there is no gain. Wish you good luck and speedy recovery ! Hi. I started using homeopathy for Lang standing issues like allergic symptoms like sneezing ,nose block. in the initial stage it was like urticaria .Since I started taking homeopathic medication my old and initial problem of urticaria is re-appeared with in 3 days. Is it good sign or bad? I have been taking homeo medicines for acne and PCOS problem since January. I feel the acne is increasing. I don’t find any relief. The homeo doctor is changing the medicine every fortnight but I don’t find any relief. Pl. suggest what to do. I cud make out from your post that u developed the acne a couple of months back. You can be well treated with Homoeopathy within a short time and get rid of the concern from the roots. But you need to chose a dedicated homoeo professional who with all patience should hear you to suggest the right remedy. Like the homeopath, you too need to be patient until you feel better from the worst. You are supposed to be positive while taking the remedies prescribed. That is to say, you should not hasten the treatment for overnight results. Patience, faith in the system as well as in homoeopath promise the desired results. The conventional medicines are not bad per se, but the physicians or dermatologists most of the time err in curing the ailment. I am having bad water retention for almost 20 years… and I was on diuretics for at least 15 years! I got addicted to Lasix and could not stay even one single day without it. Of course it made lots of damage to my health: electrolytes disbalance, low potassium, kidney issues, dehydration, low calcium, low magnesium… etc . Then I decided to stop with Lasix forever but next day I woke up so swollen in face and whole body and I had 4-5kg more. I looked horrible and I felt even worse. Then I went to see my homeopathist and I got remedy – drops that I have to take before sleep. First morning I felt amazing! Not swollen at all…. second day the same…. and same like that for next 4 days…. so 6 days I was new person…. I looked better then ever, I felt like I could fly! People around me start noticing that and they even had no idea what was going on… my colleagues were telling me that I look so fresh and different. I was truly happy…I thought I got it back…got myself back from the darkness..
As narrated by you the experiences you had after the usage of homeo remedy , I am sure to day that it started working . The immediate result you experienced during the first six days might be the detoxification process of eliminating the stocked chemicals of the conventional drugs from your body. The manifestation of the homeo remedy started after the sixth day while continuing it’s healing process. This is the established principle if Homeopathy. Getting worse before feeling better is also a process and it is a good sign to welcome. You should feel encouraged and never try to discontinue the medicine/s . I hope that your long standing ailments will disappear but slowly and steadily. But please never try to hasten the process with supplementary drugs which delays the cure. Wish you a speedy recovery and God bless. I´m pretty thankful for this. I´m receiving a treatment in México City, a friend of mine recommended me to be treated by a homeopath and I trusted him. The remedy was sepia 0/30, and my symptoms were (lest´s say) isolated, but the main ones were bowel inflammation and varicose veins, also some psychological like scare and anxiety. I started the remedy 25 days ago. At the beginning, I felt great of the bowels, but then I started to have bowel inflammation again, and I even started to see veins in my legs that have never been there, and I started to scare and called my homeopath. He told me to take the doses more frequent but diminishing them. It was the last week, but I keep feeling the same. I do not know what to do now because I don´t want to diminish the power of the sepia by diminishing the doses. May I ask you an advice about what should I tell my doctor? Thank you very much & Best. Thank you for your explanation on homeopathy. I was getting concerned because I just started a whole bunch of homeopathic drops and I’m getting a terrible back, neck, and headache. I guess you say I should have patience. Frozen shoulder is the common name for adhesive capsulitis, that may be a shoulder condition that limits your vary of motion. Once the tissues in your styloid joint become thicker and tighter, connective tissue develops over time. As a result, your styloid joint doesn’t have enough house to rotate properly. Common symptoms embody swelling, pain, and stiffness. You’re additional probably to own the condition if you’re between the ages of forty and sixty. The term “frozen shoulder” is usually used incorrectly for inflammatory disease, however, these 2 conditions are unrelated. Frozen shoulder refers specifically to the styloid joint, whereas inflammatory disease might seek advice from alternative or multiple joints. World authority in Wellness, Preventive medicine, and Homeopathy, Graduated Bachelor’s Degree in Homeopathy form Delhi, Master’s Degree in Homeopathy M.D. (Home) from Dr. B.R. Ambedekar University Agra, and he has got many international qualifications and super specializations in Homeopathy. He got the diploma in Naturopathy and Yoga, and Fellowship in Homeopathy from the UK, also Post Graduate in Homeopathy from the UK. For more detail contact us at + 91-9999367159 or visit http://www.drnavalkumar.com.